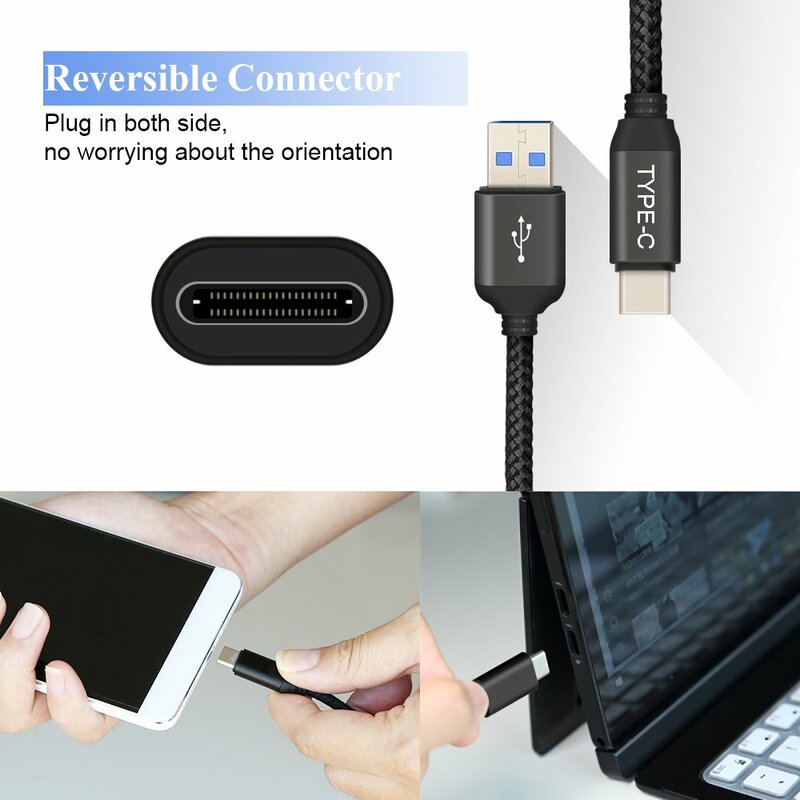 Broad Compatibility--This usb c cable is widely compatible with Samsung Galaxy Note 8,S8,S8 Plus,S9,S9 Plus,HTC 10,Nexus 6P,OnePlus,Macbook 12" 2015, Nokia N1 Tablet, Lumia 950XL and other smartphones and tablets with type c conector. 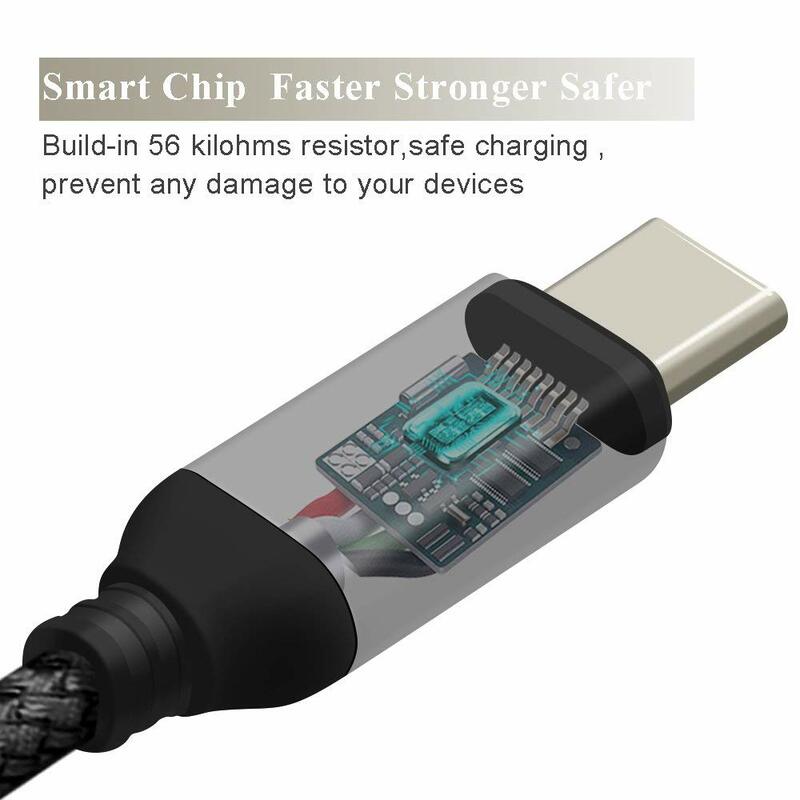 USB 3.0 Technology-- USB 3.0, conforming to the USB C to A charger cable Specification version 1.1,Standard 56kilohm pull-up resistor contained ensures a safe charging. Also,the USB 3.0 is backwards compatible with USB 2.0. 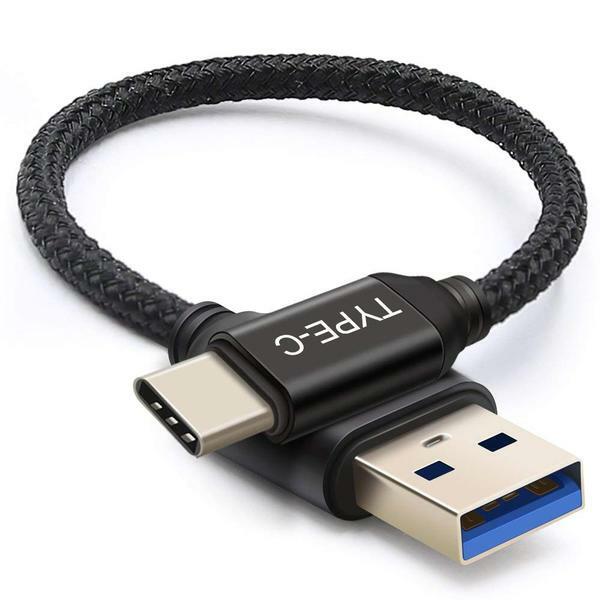 Rapid Data Syncing--Utilize the latest in connector technology to securely transfer data at high speeds of up to 5 Gbps and charge your device as efficiently as possible. 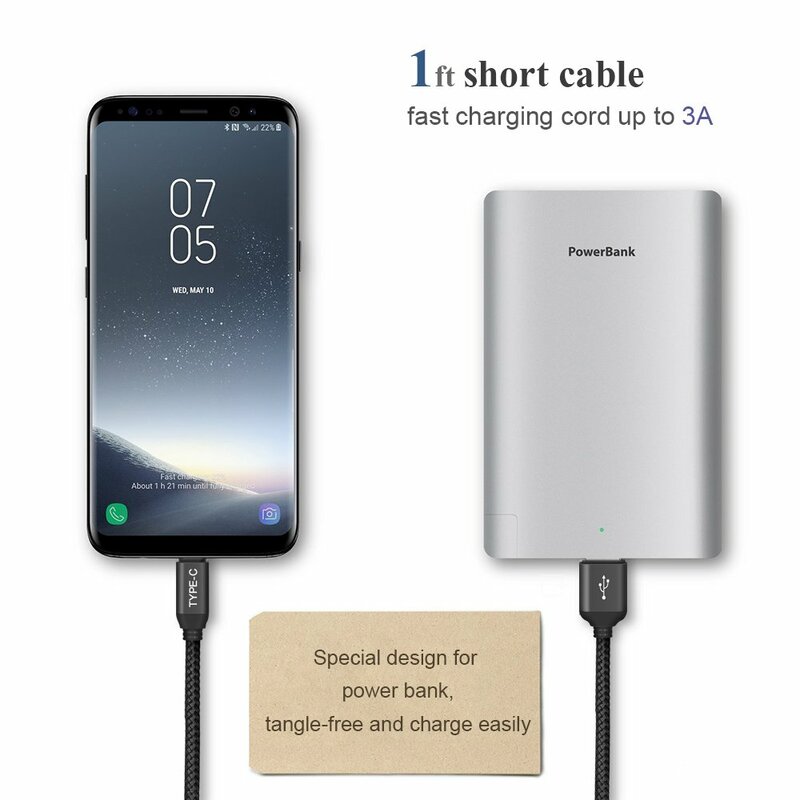 Convenient with power bank--1Ft short usb type c cable,special design for power bank,tangle-proof and fast charging.Also,it’s the perfect choice to carry with while working or travelling. COOYA Customer Service--If there is any issues of confusion,plase feel free to contact us.COOYA offer professional and friendly customer service.We offer 30 days worry-free replacement or money back. 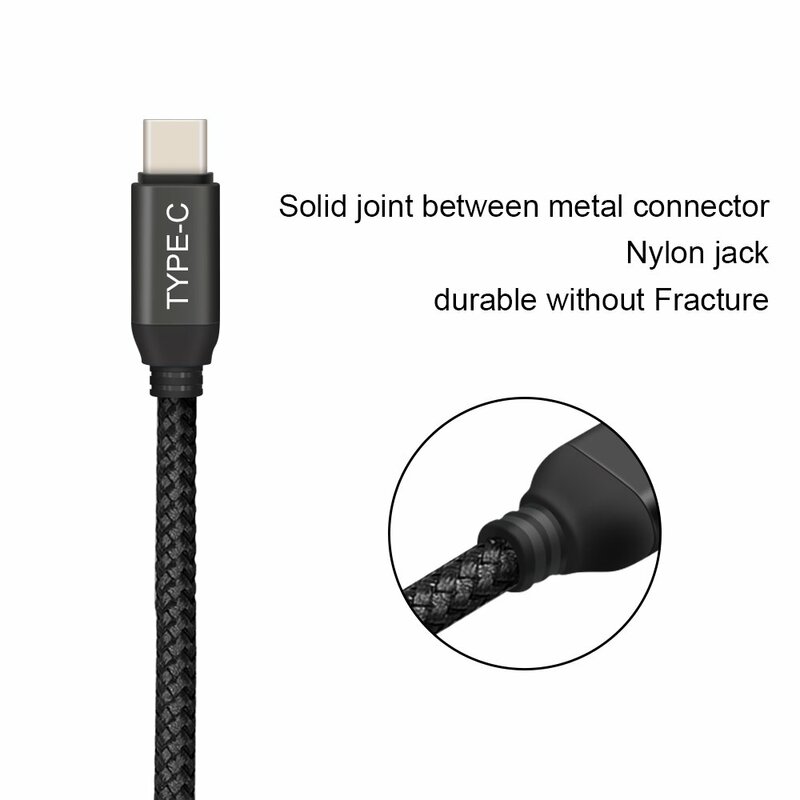 With a tested 5000+ bend lifespan, this cable is far more dependable than others.The nylon braiding adds additional durability and a visually elegant look..
1Ft short usb type c cable,special design for power bank,tangle-proof and anti-break,portable to carry with wherever you go. USB-C can be inserted regardless of its orientation and standard interface. It is impossible to plug it in facing the wrong way!So easy! 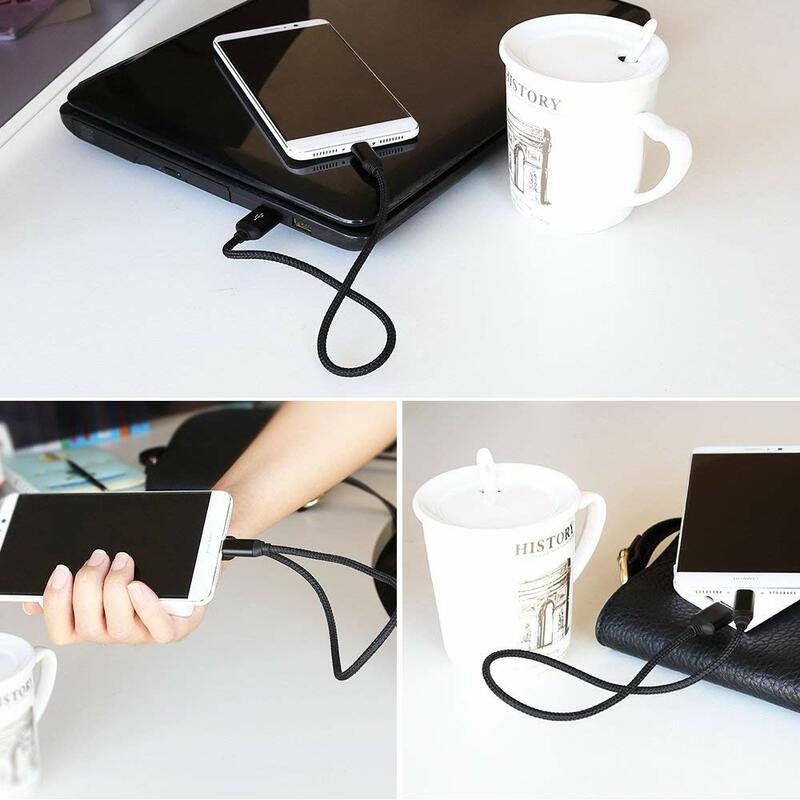 It's convenient to carry with wherever you go.Handy Design makes it easily in your pocket or bag.